'Grace looked directly at the seal pup and spoke softly to it. 'I'll be back soon. Don't give up.' Grace is excited about her holiday, staying with Granny at her house by the sea. A whole week exploring rock pools, collecting shells, and playing on the beach - perhaps she might even get to see a baby seal? Grace makes friends with local boy Col who knows all the secrets of the Island. 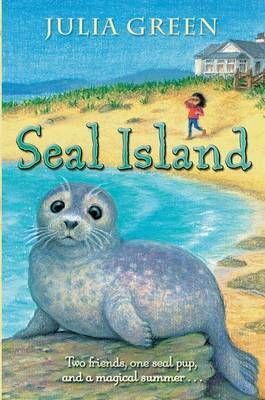 When Grace discovers a small seal pup, separated from its mother after a storm, she's not sure if she can help it, but she has to try ...Beautifully illustrated in black and white, this is a heart-warming tale of friendship and discovery in the wild outdoors by the author of Tilly's Moonlight Fox..